Most of the injuries we suffer over the course of our lives are nothing to worry about. A few Band-Aids, possibly a cast or a few stitches, and we’re as good as new in a matter of days. But in certain types of accidents, injuries can be more severe. It’s these types of injuries that can ultimately change our lives forever. At McKellar & Easter, Attorneys at Law, we’ve seen catastrophic injuries affect individuals not only physically, but financially as well. The costs associated with these types of injuries, from medical expenses to lost income, can add up quickly. A catastrophic injury can also force you out of work permanently, leaving you with no source of income and no way to pay your bills or support your family. In the end, you may need to seek disability benefits through the Social Security Administration, a process that can be challenging if you don’t know what you’re doing. 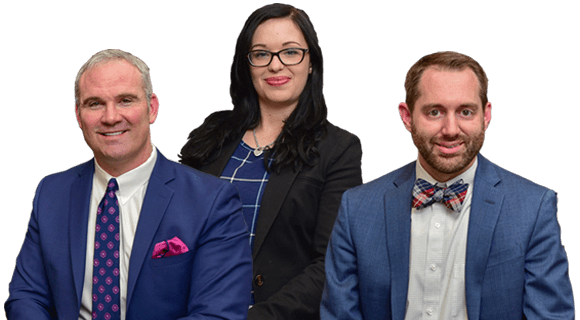 If a serious accident has caused you to suffer a catastrophic injury, then consider talking to the lawyers at McKellar & Easter, Attorneys at Law. During a free initial telephone consultation, we will work with you one on one to evaluate your case and determine your present and future needs. After getting to know you and your situation, we can then present you with your options for recovering damages. At our firm, we maintain a client-focused approach that seeks the best possible resolution that is also in your best interests. If that means we lose money on the deal, that’s okay. What matters is that you’re happy with the outcome and that you’re able to move on with your life. If you’ve suffered a catastrophic injury and have questions about what your next steps should be, then talk to the experienced lawyers at our firm. We can help you understand your options, file the necessary paperwork or take legal action to get the compensation you need and deserve. To schedule a free initial telephone consultation at any of our three offices — Knoxville, Tennessee; Nashville, Tennessee; or Atlanta, Georgia — call 865-566-0125 or send us an email. We answer all forms of communication within 24 hours.